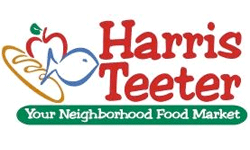 Home > Harris Teeter > Harris Teeter Ad: 5/14-5/20 | 9 Freebies! Harris Teeter Ad: 5/14-5/20 | 9 Freebies! Take a look at the deals running in this week’s Harris Teeter Ad. All deals are good 5/14 through 5/20. Some of the bestdeals this week are in the Buy 2 Get 3 section. You get 60% off before coupons! More top deals include FREE Ore-Ida hashbrowns, lots of diapers sales and Dunkin’ Donuts coffee creamer for $1.50. If you find anything extra, leave a comment and share below.